Sending a courier to Armenia is reliable and affordable with Courier force. You may be doing business with Armenian companies or you have family members or friends settled in Armenia then you can take the benefit of the discounted rates and quality services provided by us for delivering your courier to Armenia. Armenia is among the first countries to accept Christianity. The Armenian economy depends mainly on mining metals, jewelry manufacture, and communications technologies. Courier force understands that when you are sending a parcel abroad your main concern is security and you want your parcel to reach the destination in the best condition. We work with only the high-class companies like DHL, TNT, FedEX that have a huge network and assure you for the security of your parcel. Our relation with these companies also helps us to negotiate the cheapest prices for your shipment, which is otherwise not possible if you contact them directly. 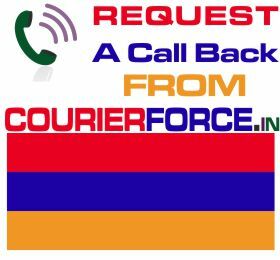 Courier Force provides bulk as well as single parcel delivery to Armenia. We have a team of highly knowledgeable and friendly members and give one to one service to each customer. Besides that we also have a live online help team to give you quick solutions to all your shipping needs. The shipping rates are based on the dimensions of the parcel as the weight of the parcel increases the total price becomes less. The courier delivery process is simple where you can simply request an online quote for your parcel by mentioning the weight and dimension of your parcel. You can also request us a call back or email us your query and we will get back to you in no time. Following which we will arrange for a completely free door to door service where the parcel will be collected from your preferred location at you preferred time and delivered to the destination. You will also be provided with a completely free online tracking no. to trace your parcel. Contact us now and book your courier to Armenia. Prices below are door to door courier rates to Armenia from India. These charges are cheapest in India for sending courier to Armenia from India. This is by a courier company which is the best in industry for parcel services to Armenia. Again, Courier Force is one of the very few companies who have their own network for distributing parcel in Armenia. It will take anywhere between 3 and 6 working days to deliver your parcel to Armenia from India. We will be simply collecting the parcel from your business or residence in India and delivering it to your destination address in Armenia. Duties, taxes and customs charges if any (in Armenia) will be additional.